Many thankx to Martin-Gropius-Bau, Berlin for allowing me to publish the art work in the posting. Please click on the photographs for a larger version of the image. 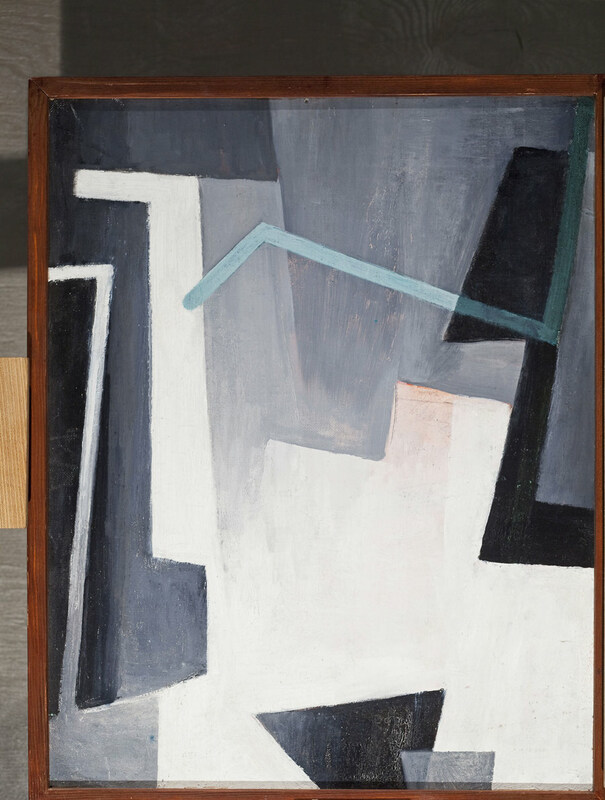 The oeuvre of Hans Richter (1888-1976) spanned nearly seven decades. Born in Berlin, he was one of the most significant champions of modernism. Berlin, Paris, Munich, Zurich, Moscow and New York were the major stations of his life. He was a painter and draughtsman, a Dadaist and a Constructivist, a film maker and a theoretician, as well as a great teacher. His great scroll collages remain icons of art history to this day. 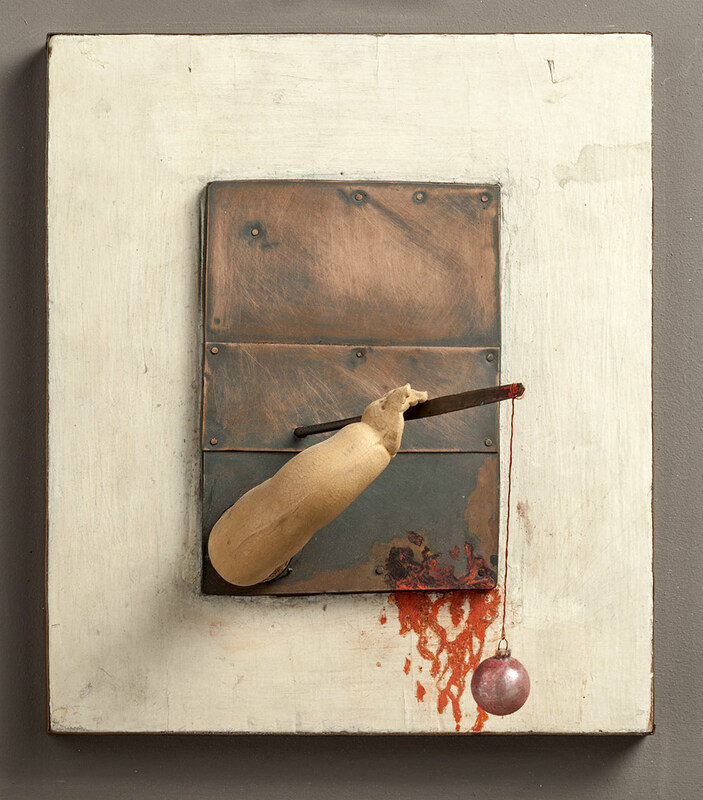 His work is characterised by a virtually unparalleled interpenetration of different artistic disciplines. The link between film and art was his major theme. Many of the most famous artists of the first half of the twentieth century were among his friends. “One can also pursue politics with art. Hans Richter created the film Ghosts Before Breakfast (Vormittagsspuk) in 1928. This was a silent experimental avant-garde film and it was the fifth film that he had made. 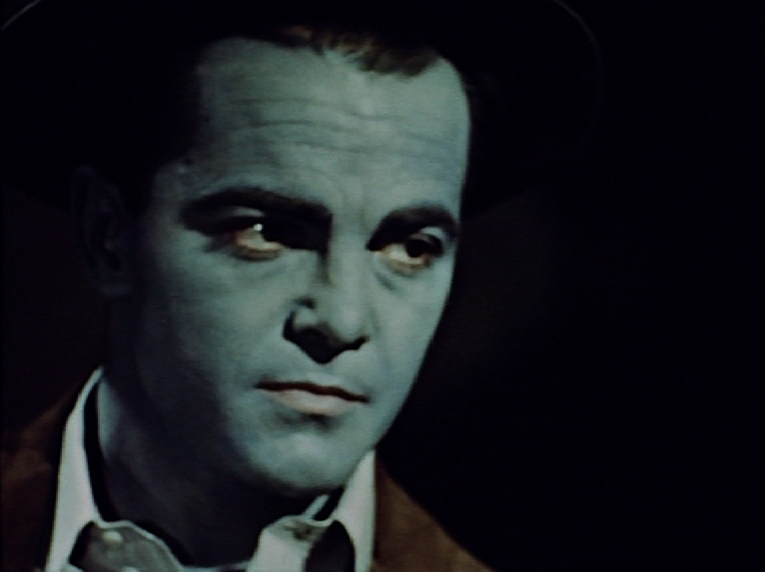 The film is considered to be one of the first surrealist films ever made. Richter’s interest in Dadaism is shown directly in this work as he challenges the art standards of the time by presenting a theme of obscurity and fantasy. Clocks, legs, ladders, hats, and people undergo total irrational happenings in unusual settings. Men have beards magically appear and disappear before the viewer’s eyes. All strange manner of things are brought together by associative logic. 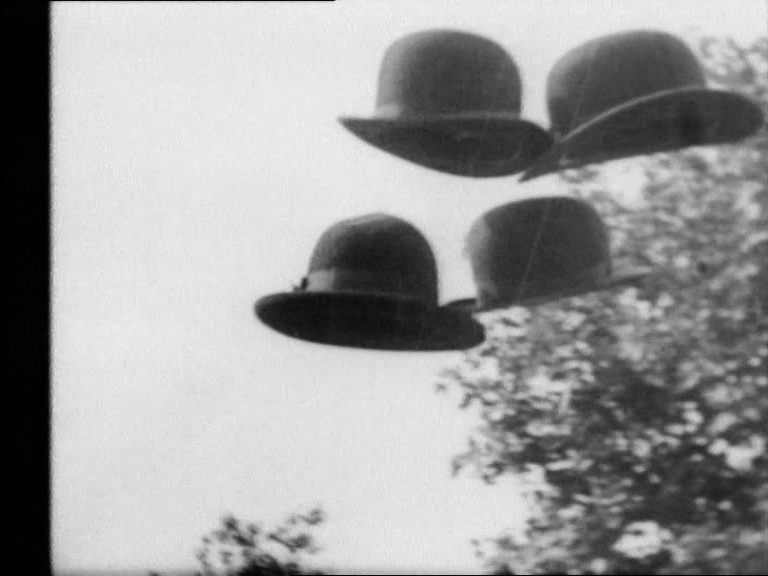 The flying hats perform this function by continually reappearing in the sequence of shots to tie the film together. Richter tries to increase the viewer’s knowledge of reality of showing them surrealist fantasy. He accomplished this through his use of rhythm, and his use of the camera. Rhythm is a very important element in all of Richter’s works. In this film rhythm is shown in the use of movement in the characters. All of the characters seem to move at the same space distance from one another and at the same speed. This clarifies a sense of rhythm and intensifies a sense of stability within the frame. The same number of characters or items also seems to preserve rhythm…. if there are three hats then in the next shot there are three men. The numbers do fluctuate, but a number would remain constant throughout a couple of shots. Shapes in the film also preserve rhythm. This can be seen in Richter’s bulls-eye scene, where the circles of the bulls-eye fill the screen and are spaced equally apart from one another. The target then breaks up and the circles the spread out in the frame to relocate in different areas continuing the rhythm. The original score, attributed to Paul Hindemith, was destroyed in the Nazi purge of ‘degenerate art’. Joe/Narcissus (Jack Bittner) is an ordinary man who has recently signed a complicated lease on a room. As he wonders how to pay the rent, he discovers that he can see the contents of his mind unfolding whilst looking into his eyes in the mirror. He realises that he can apply his gift to others (“If you can look inside yourself, you can look inside anyone!”), and sets up a business in his room, selling tailor-made dreams to a variety of frustrated and neurotic clients. Each of the seven surreal dream sequences in the diegesis is in fact the creation of a contemporary avant-garde and/or surrealist artist (such as Marcel Duchamp, Alexander Calder, Max Ernst et al). Joe’s waiting room is full within minutes of his first day of operation, “the first instalment of the 2 billion clients” according to the male narrator in voiceover, whose voice is the only one we hear in the non-dream sequences. Hans Richter (1888-1976) life’s work spans nearly 70 years. Born in Berlin, he is one of the most important protagonists of modernity. Berlin, Paris, Munich, Zurich, Moscow and New York are stages of his life. He was a painter and draftsman, Dadaist and Constructivist, filmmakers and theorists, and also a great teacher. 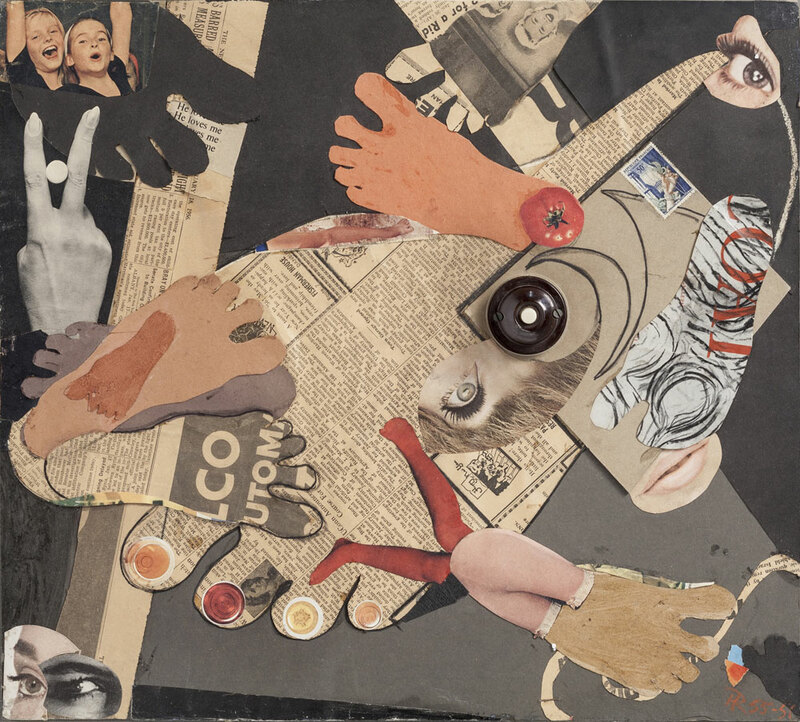 His great scroll collages remain icons of art history to this day. 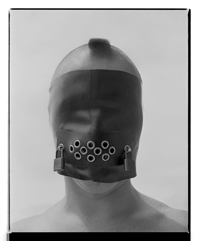 His work is characterised by a virtually unparalleled interpenetration of different artistic disciplines. The link between film and art was his major theme. Many of the most famous artists of the first half of the 20th Century were his friends. The Los Angeles County Museum of Art has developed the exhibition with the Martin-Gropius-Bau and the Centre Pompidou Metz. Timothy Benson has curated it. The program explains how Richter understood his cross-disciplinary work and what effect his work had on the art of the 20th century. 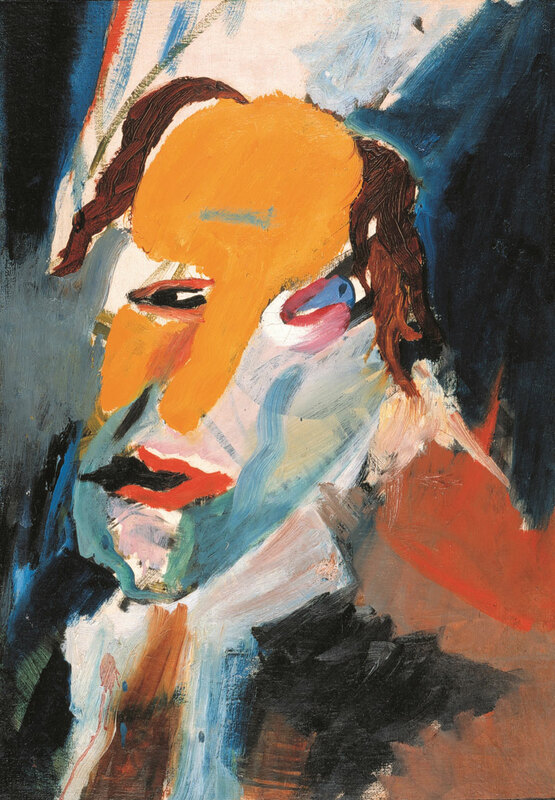 In ten chapters, the exhibition describes the extensive work of the artist: Early Portraits / War and Revolution / Dada / Richter and Eggeling / Magazine “G” / Malevich and Richter / Film and Photo (FIFO) / Painting / Series / Confronting the Object. Important works of the avant-garde as well as films, photographs, and extensive documentary material make this exhibition an important artistic event. In 1918 he met Viking Eggeling, with whom he conducted his first film experiments as precursors of “abstract film”. Both dreamt of discovering a universal language within film which could promote peace among human beings. In 1919 Richter served as chairman of the “Action Committee for Revolutionary Artists” in the Munich Soviet Republic. He was arrested shortly after the entry of Reichswehr troops. His mother Ida secured his release. Richter’s first film, Rythmus 21 in 1921 [see below], was a scandal – the audience attempted to beat up the pianist. Moholy-Nagy regarded it as “an approach to the visual realisation of a light-space-continuum in the movement thesis”. 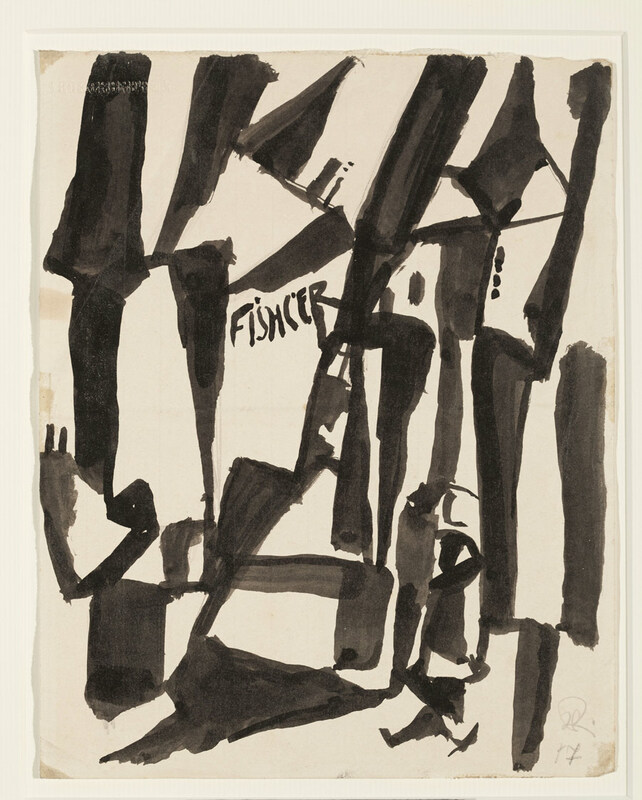 The film, which is now recognised as a classic, also attracted the attention of Theo van Doesburg, who invited Richter to work on his magazine De Stijl. 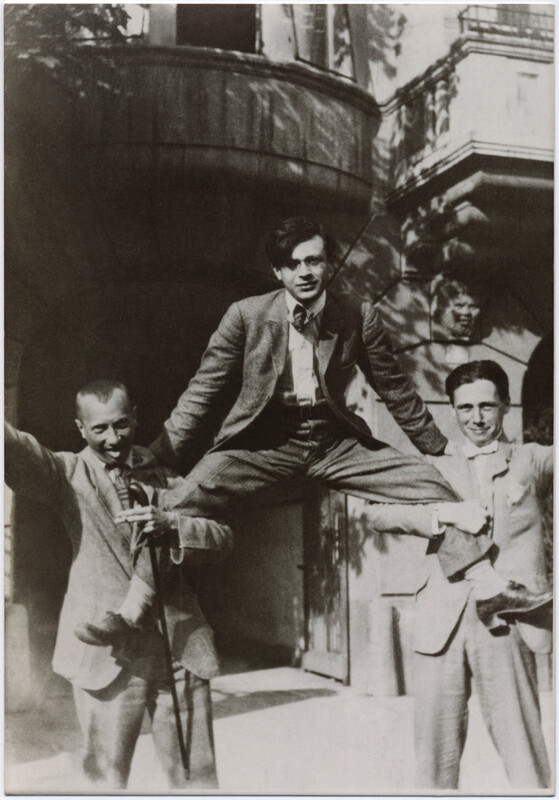 In 1922 Richter attended two famous congresses where many of the most significant avant-gardists of the era assembled: The Congress of International Progressive Artists in Düsseldorf and the International Congress of Constructivists and Dadaists – the Dada movement was dismissed on this occasion. In 1923 Richter and other artists founded the short-lived but celebrated Magazine G: Material zur Elementaren Gestaltung (G: Materials for Elemental Form-Creation) (G for “Gestaltung”, i.e. 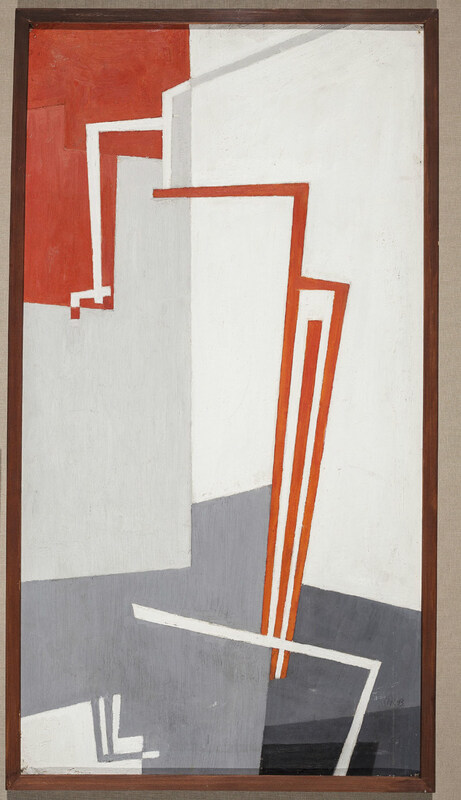 design), which sought to build a bridge between Dadaism and Constructivism. Prominent contributors included Arp, Malevich, El Lissitzky, Mies van der Rohe, Schwitters and van Doesburg. In 1927 Richter worked with Malevich, who was then visiting Berlin for his first large exhibition, on a – naturally, “suprematist” – film, which, however, was never completed due to the political situation. Completed by using stop motion and forward and backward printing in addition to an animation table, the film consists of a continuous flow of rectangular and square shapes that “move” forward, backward, vertically, and horizontally across the screen (Gideon Bachmann and Jonas Mekas. “From Interviews With Hans Richter during the Last Ten Years,” in Film Culture, No. 31, Winter 1963-4, p. 29). Syncopated by an uneven rhythm, forms grow, break apart and are fused together in a variety of configurations for just over three minutes (at silent speed). The constantly shifting forms render the spatial situation of the film ambivalent, an idea that is reinforced when Richter reverses the figure-background relationship by switching, on two occasions, from positive to negative film. In so doing, Richter draws attention to the flat rectangular surface of the screen, destroying the perspectival spatial illusion assumed to be integral to film’s photographic base, and emphasizing instead the kinetic play of contrasts of position, proportion and light distribution. By restricting himself to the use of square shapes and thus simplifying his compositions, Richter was able to concentrate on the arrangement of the essential elements of cinema: movement, time and light. Disavowing the beauty of “form” for its own sake, Rhythmus ’21 instead expresses emotional content through the mutual interaction of forms moving in contrast and relation to one another. Nowhere is this more evident than in the final “crescendo” of the film, in which all of the disparate shapes of the film briefly coalesce into a Mondrian-like spatial grid before decomposing into a field of pure light. Suchenski, Richard. 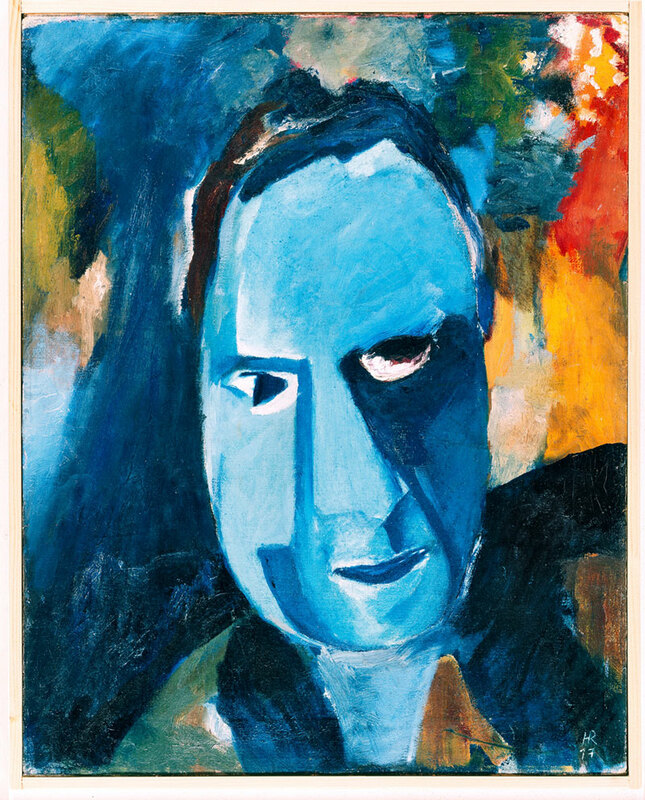 “Hans Richter” on the Senses of Cinema website [Online] Cited 19/06/2014. Richter, Hans. “Easel-Scroll-Film,” in Magazine of Art, No. 45 (February 1952), p. 82. In 1929 Richter curated the film section of the famous FiFo exhibition (Film und Foto), a milestone in the history of the cinematic and photographic arts. More than 1,000 photos were presented – curated by, among others, Edward Weston and Edward Steichen for the USA and El Lissitzky for the USSR. 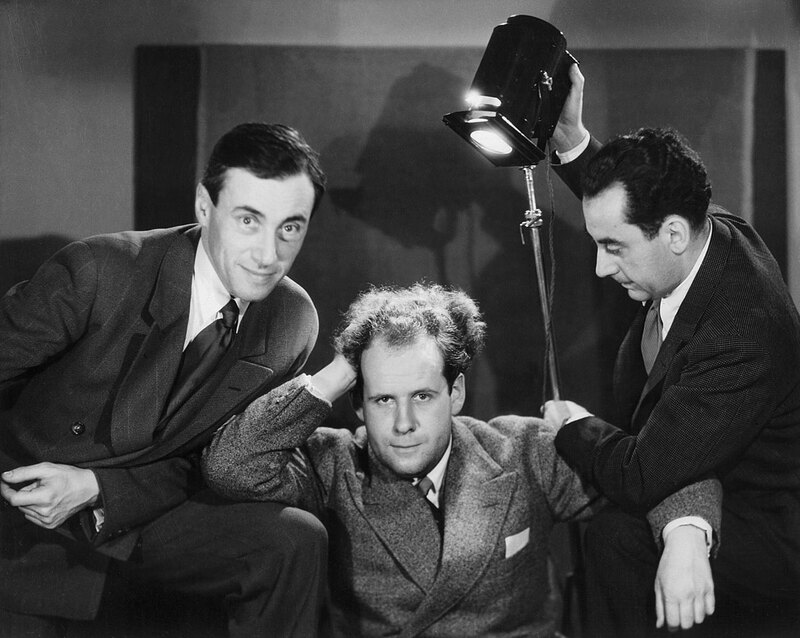 More than sixty silent films were shown, including works by Duchamp, Egeling, Léger, Man Ray and Chaplin. This important exhibition, initiated by the German Werkbund (which was founded in 1907), was also shown in the Martin-Gropius-Bau, which in those days was called “the former Museum of Applied Arts” – a fact that is rarely mentioned in current photographic histories. On this occasion, Richter published his first film book: Film Enemies of Today, Film Friends of Tomorrow. That same year, the first Congress of Independent Film was held in the remote Swiss castle of “La Sarraz”: Hans Richter was invited along with Sergei Eisenstein, Bela Balazs, Walter Ruttmann and others. He made a film with Eisenstein, which has since been lost. The Congress is still regarded as the first festival dedicated solely to film. Back then, the still young art of film-making had to struggle for recognition. Also in 1929 the SA (“Sturmabteilung” or Nazi “Brown Shirts”) declares him the first time a “Kulturbolschewisten” – a “cultural Bolshevik”. In 1930 he travelled to Moscow to make the film Metal. But objections by the Soviet government prevented its completion. In 1933, when the Nazis seized power and Richter was living in Moscow, storm troopers sacked his Berlin flat and made off with his art collection. Fearing for his life, he was soon forced to flee Moscow without a penny to his name. In the Netherlands he made advertising films for Philips. He also worked for a number of chemical companies that were eager to invest in film as an advertising medium. He sought permanent residency in France and Switzerland. In Switzerland, he and Anna Seghers cooperated on a script, and in 1939 Jean Renoir arranged for him to create a major film project in Paris. But the outbreak of war prevented this film as well. When the Swiss Foreign Police ask him to leave the country he succeeds in 1941, with emigration to the United States. Hilla Rebay, artist and once a member of Ricther’s famous Berlin “November Group” is at this time advisor to the New York art patron Solomon Guggenheim. With his help they can implement their idea of ​​a “Temple of Non-Objectivity” – the Museum of Non-Objective Painting (1939), later the Guggenheim. The museum provided Richter with the necessary invitation and a Jewish support fund for refugees sponsored his long journey. In 1942 Richter became a teacher for film – and later director – at the Institute of Film Techniques at the College of the City of New York. 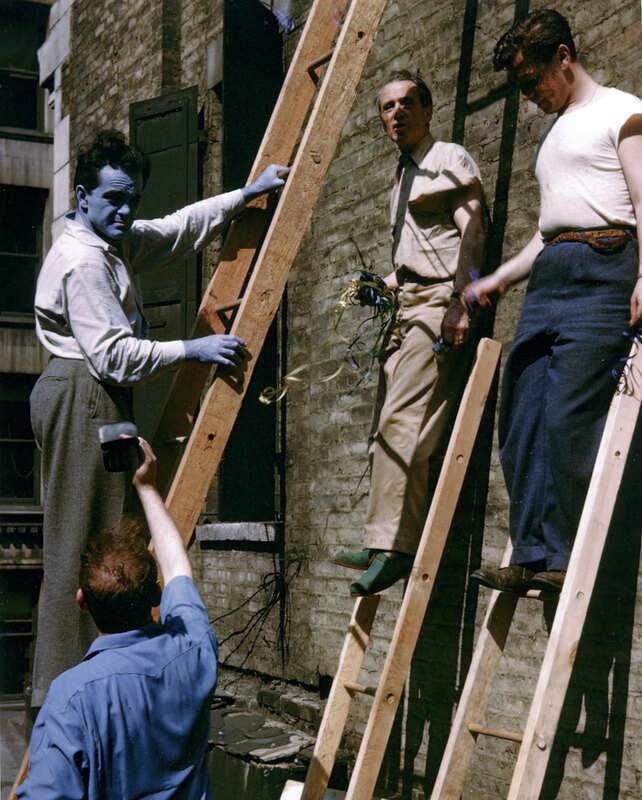 Until 1956 he trained students who were later counted among the great figures of American independent film, including Stan Brackhage, Shirley Clarke, Maya Deren and Jonas Mekas. In 1940s America, after a fifteen-year pause, Richter began painting again. In 1943/44 he created his great scroll paintings and collages about the war: Stalingrad, Invasion and Liberation of Paris. After the war he made the episodic film Dreams That Money Can Buy, working alongside five of the most famous artists of the twentieth century: Léger, Ernst, Calder, Ray and Duchamp. In 1946 he presented his first great American art exhibition in Peggy Guggenheim’s Art of This Century gallery.